this past week has been a graphic novel of first-world problems on the domestic front. my favorite animator went to the local Home Depot to purchase our new fridge and stove (i was at home hyperventilating and swallowing antacids, as i tend to do whenever we have to spend more money than a typical trip to the grocery store). he arrived at the parking lot, only to find that they were turning people away because a broken water pipe had shorted out the electricity for the entire store. perhaps the universe was trying to send us a message. 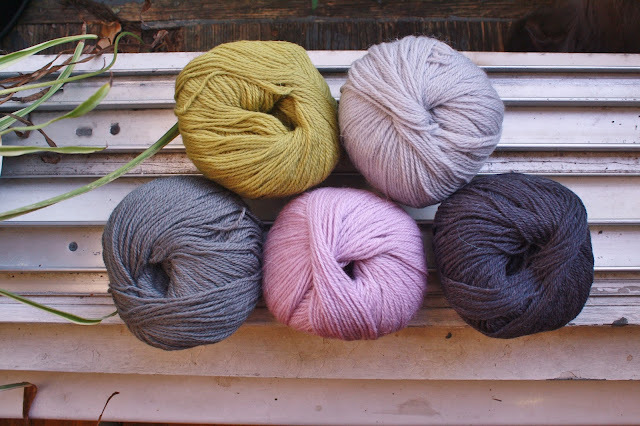 i have been distracting myself with... you guessed it... wooly things. i finished the second sock from last week! note: i did not wash/block them because life is too short for such pointless things. i stacked them together, folded them in half, then passed them off to my favorite animator. 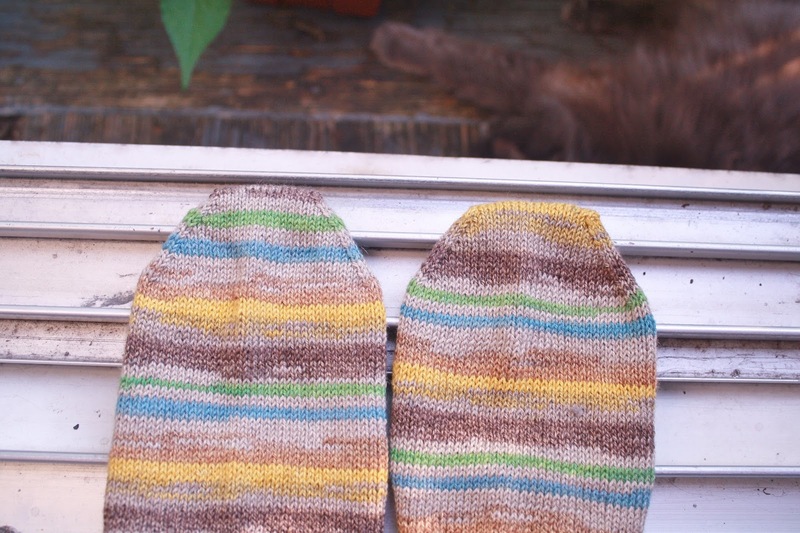 even cute fraternal toes. this would drive me insane, but they are not going near my feet, so... not my problem. 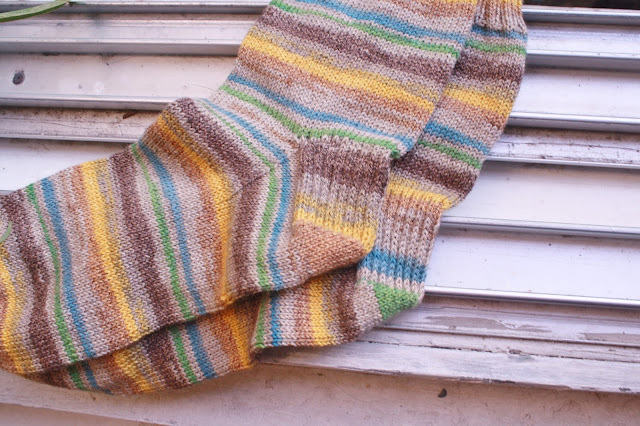 the pattern is Susan B. Anderson's How I Make My Socks, and the yarn is Regia Cotton Horizont Color in the (uninspiringly-named) 6404 colorway. 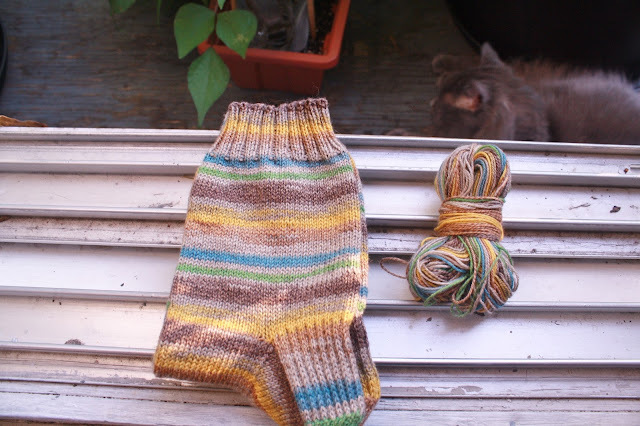 i used most of the hundred gram ball for the socks, but there was about seventeen grams of leftovers, which will likely come in handy for repairing heels and toes. and, yes, that is a kitty in the background. 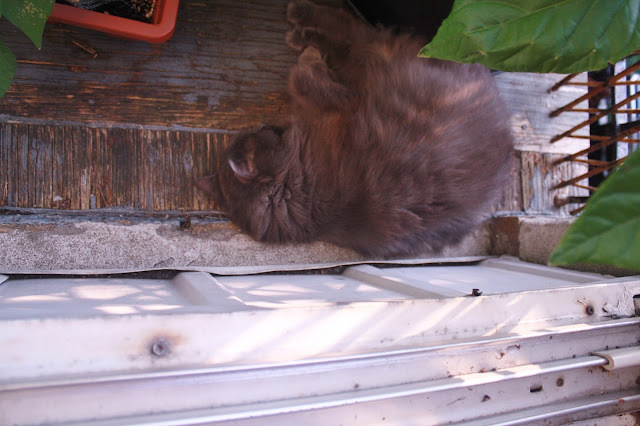 Baby Bear has been spending so much time napping outdoors, that her grey fur has taken on a noticeable bronze highlight. 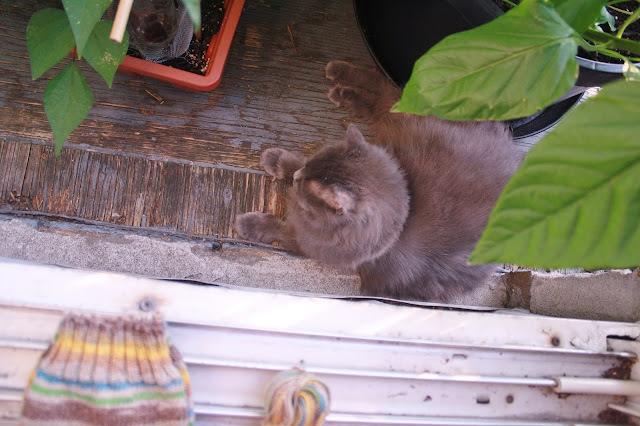 still, she is on her best behavior out there below the peppers. 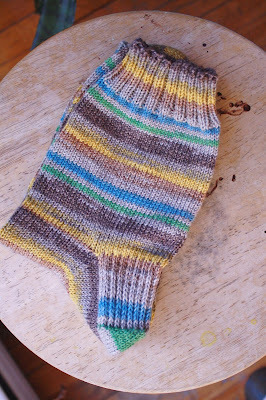 this is probably the first time i have photographed fibery things without constantly having to move her out of the way or to wrestle yarn from her mouth. i seriously love this crazy little cat. i was on such a roll when the socks came off the needles, that i went on a frantic search for my next project. i will likely be casting on three or four new items in the coming week. it is next-level madness, and it just keeps getting worse. i was putting down my camera after taking photos of the socks (and cat), when there was a knock on the door. it was the UPS guy. he was delivering a box of yarn. in my defense, i used up eighty-three whole grams of fiber making those socks. clearly i needed to replace it with over a kilo of new stash! the box contained more than enough yarn for two cardis. 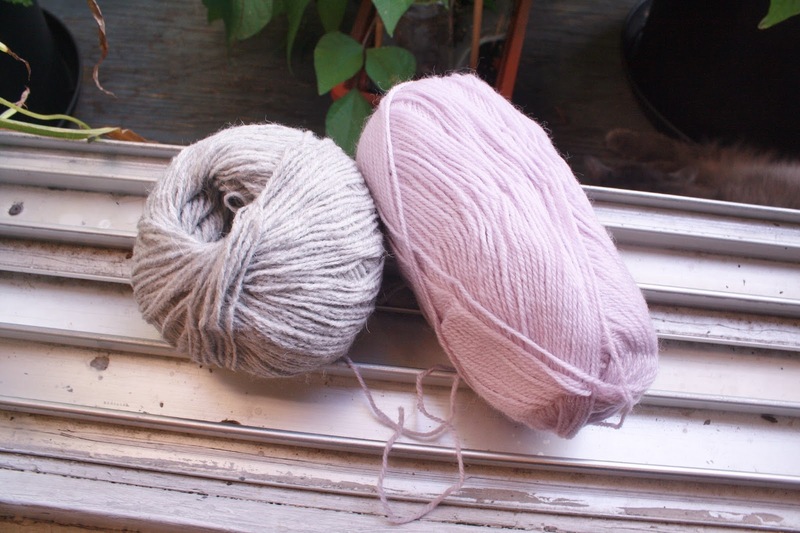 the pale lilac(superwash wool) will become a Christmas gift for his mom, and the light-grey (alpaca/wool blend) may possibly become a cardi for self, hopefully before it starts to snow. i seem to be on some sort of lilac and grey kick, because i pulled a gigantic bag from deep-stash earlier this week, and it contained this assortment of alpaca yarn. there were close to fifty balls in total, and i have already designated them for a long-term project, which i will discuss in more detail once i cast on. 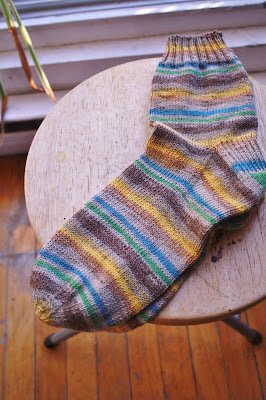 then there was that nagging voice in the back of my head telling me that i really want to knit another pair of socks. it is seriously that addictive. 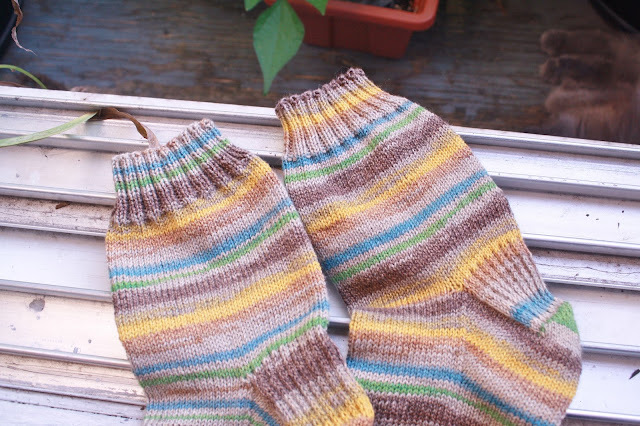 i am awaiting the arrival of new (non-bendy) needles, and he has already picked out the sock design he wants next, so that too should be in the works in short order. i may have also purchases three new patterns in the past twenty-four hours. to merely suggest that i might be losing it would be something of an understatement. in my effort to distract myself from stressing over stupid stuff, i managed to skip right past casual enthusiasm and boarded the express elevator to next-level insanity. good times. the single sanest part of the past week was a moment less than a minute long. 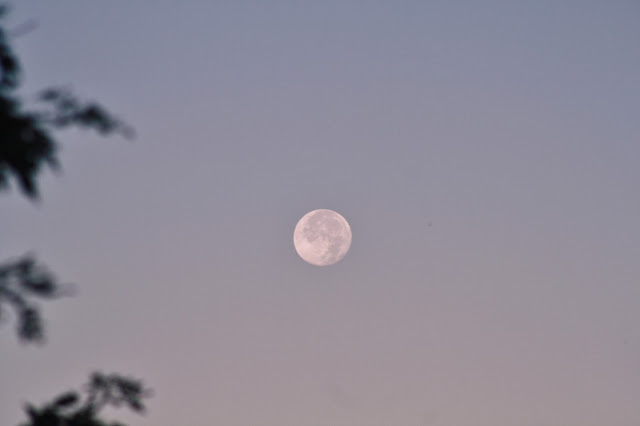 i pulled back the curtains on the west-facing windows just in time to see the full moon suspended at eye level in the morning sky. i dove for my camera and managed to get the lens cap off in time to grab a few quick shots. then, the sun rose the slightest bit higher in the sky, and the moon became a faint shadow against the suddenly too-bright morning, a reminder from the universe to find joy in even the smallest moments in life.